The Czech Republic flag features 2 horizontal bands, in the colors of white (on top) and red (on the bottom). 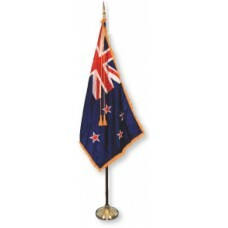 To the left side of the flag features a blue triangle. 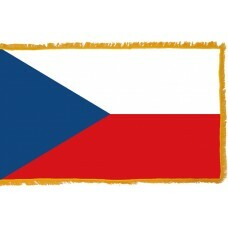 The white color represents the kind and honest nature of the natives of the Czech Republic, the red color represents the courage and loyalty of the citizenry, while and the blue color symbolizes the vigilance of the country. The blue triangle was added to the flag to separate it from the Polish flag that was the same. The Czech Republic flag was approved and adopted on March 30th, 1920 and was the official flag until it was banned by Nazi Germany during World War II and was adopted again in 1945. The Czech Republic was first known as the "Duchy of Bohemia," which was ruled by the Great Moravian Empire. In 1198, it became the "Kingdom of Bohemia" as part of the Holy Roman Empire. In 1806, following the collapse of the Holy Roman Empire, the Bohemian Kingdom became part of the Austrian Empire until its collapse in 1918, after World War I. In 1918, the Czechs, Slovaks, and Ruthenians united and Czechoslovakia was established. 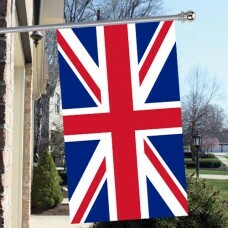 For two years, the flag was half white and half red until it was changed in 1920 to the present flag design that is in use today. In 1939, during World War II, Germany occupied the Czech part of Czechoslovakia, resulting in the flag being banished. In 1945, following the war, the USA and Soviet Union freed Czechoslovakia which was then under the Soviet rule until 1989. In 1992, Czechoslovakia split from Slovakia and a clause was formed forbidding the Czech Republic and Slovakia from using the original flag. The Czech Republic ignored this and re adopted the flag in 1993, whilst Slovakia adopted a new flag. The Czech Republic is a landlocked country located in Central Europe, which shares borders with Germany, Slovakia, Austria, and Poland. The largest and capital city is Prague which is home to many beautiful and scenic sights. The Czech Republic has been voted as the most visited city in Europe and its economy thrives due to the number of tourists that visit each year. One of the main tourist attractions is the "Prague Castle," which is the biggest castle in Europe, consisting of 700 rooms. Since the 18th Century, Prague has been described as the "handsomest city in Europe," and is the "castle capital of the world." This castle is also home to the "St. Vitrus Cathedral" which contains the Czech crown jewels and is the burial place of the Czech Kings. Prague is also home to the "Charles University" which was established in 1348 and is the oldest university in Europe. The Czech Republic is mainly covered by mountains and is home to over 2,000 castles and ruins, which are popular sites amongst tourists looking to learn about history.